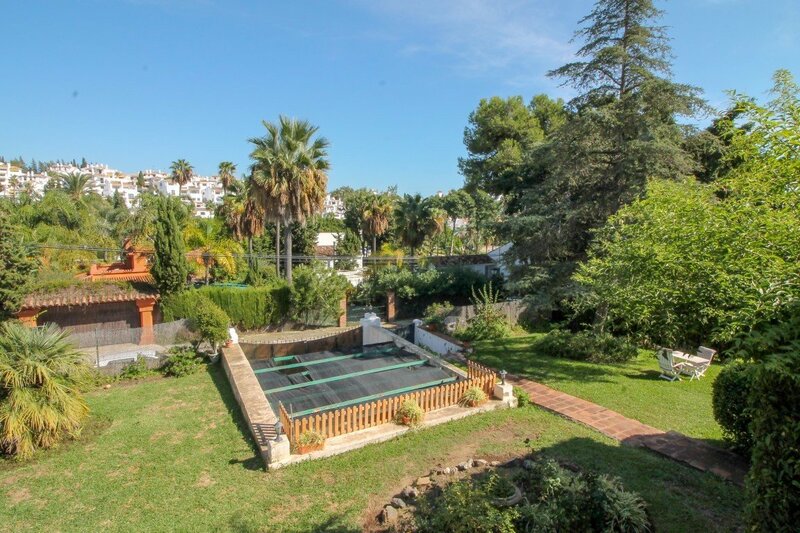 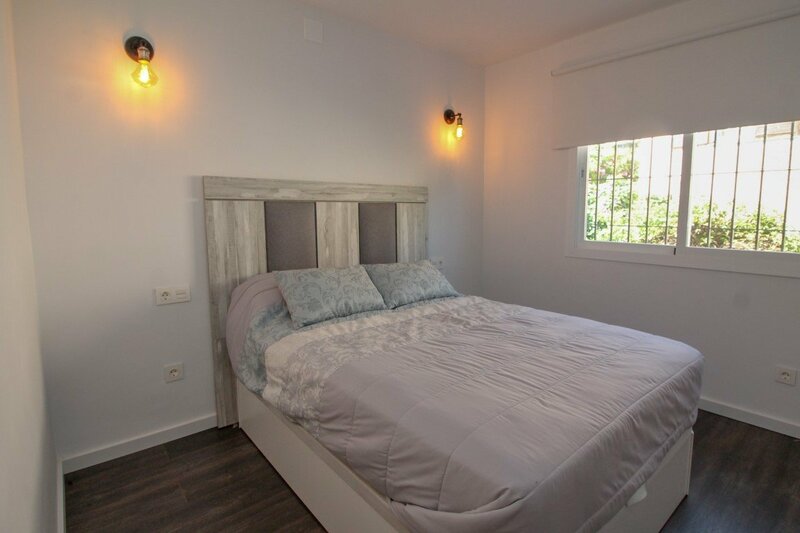 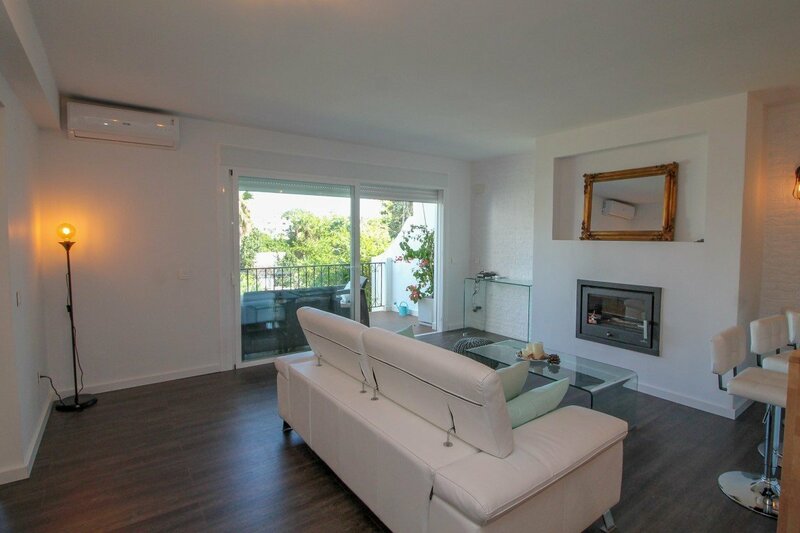 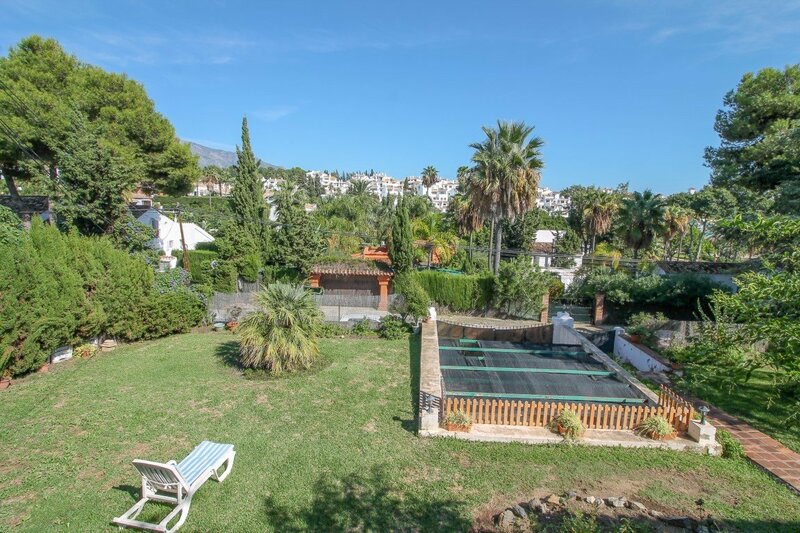 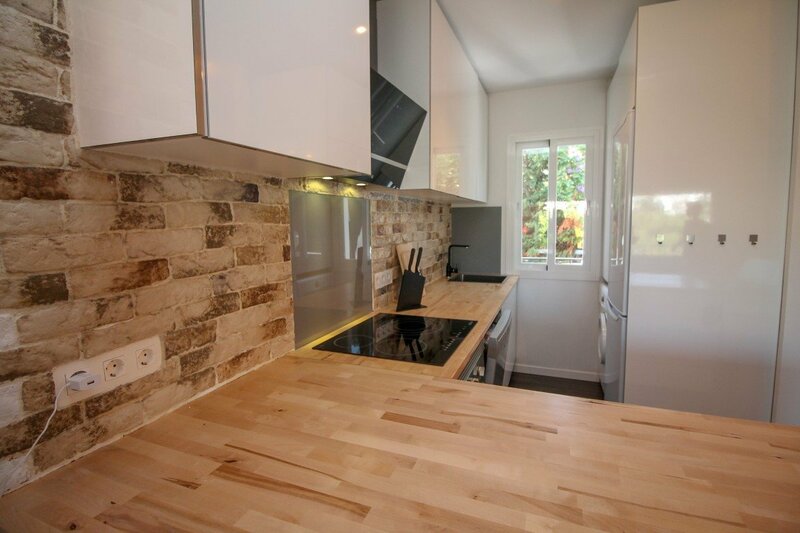 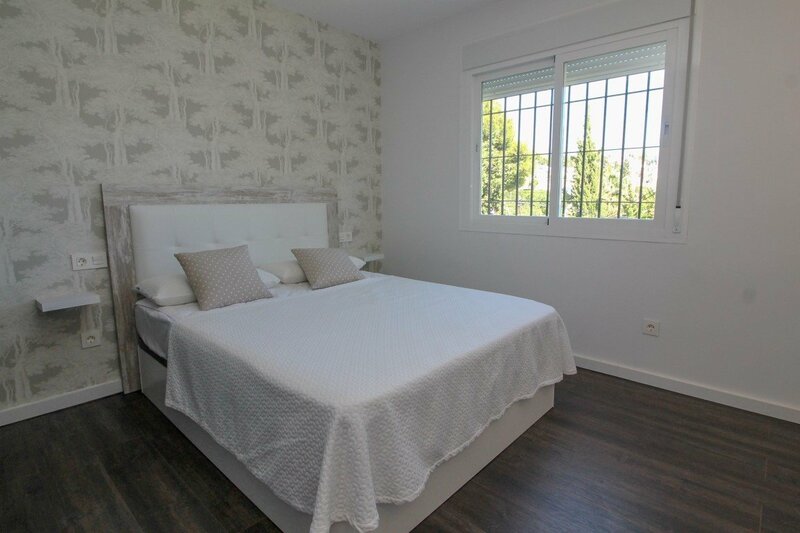 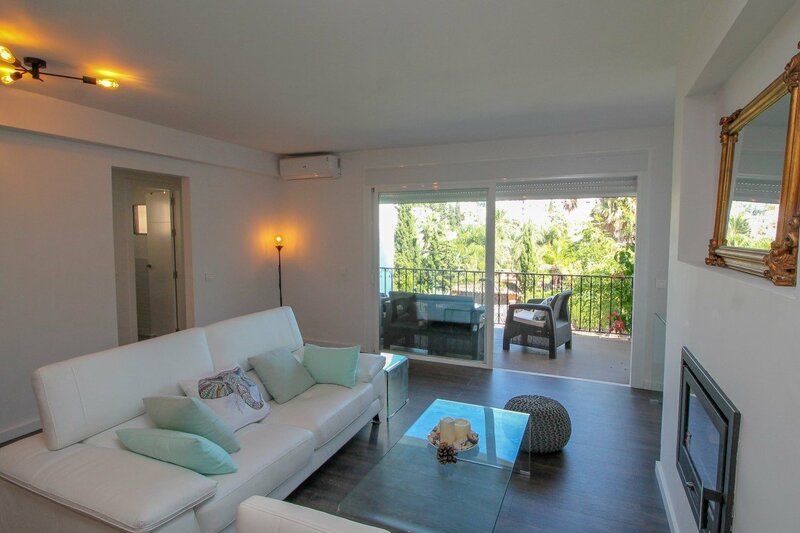 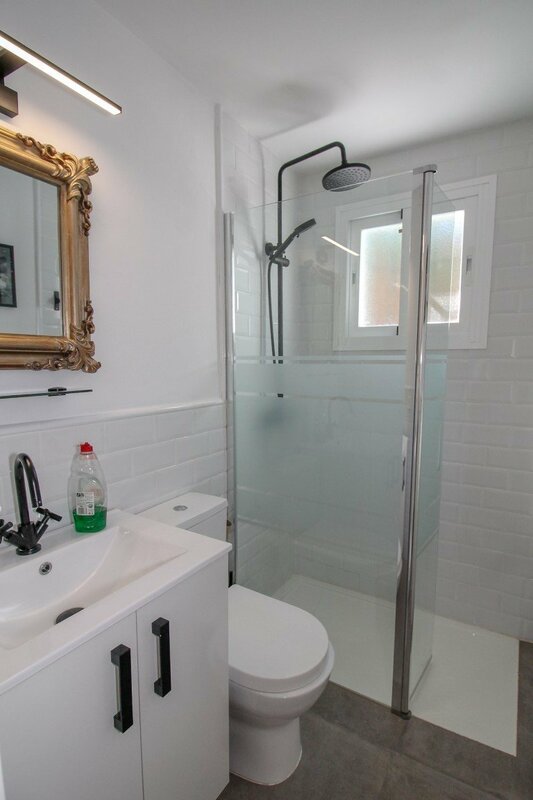 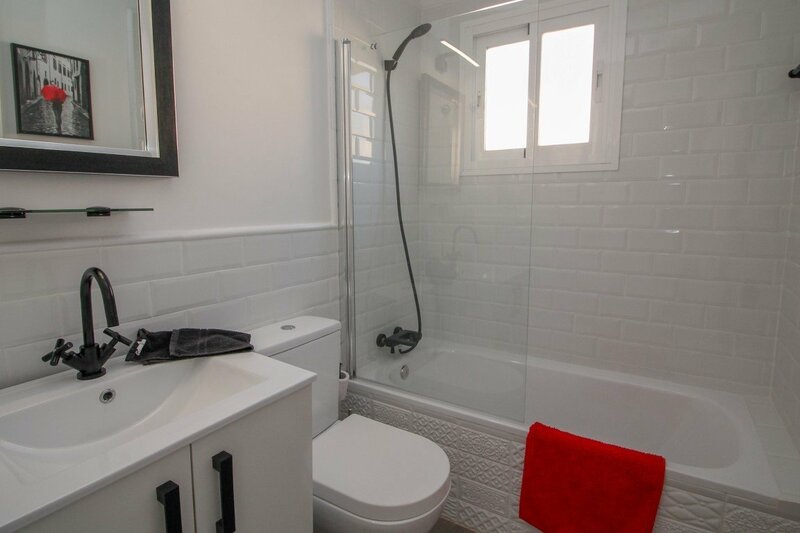 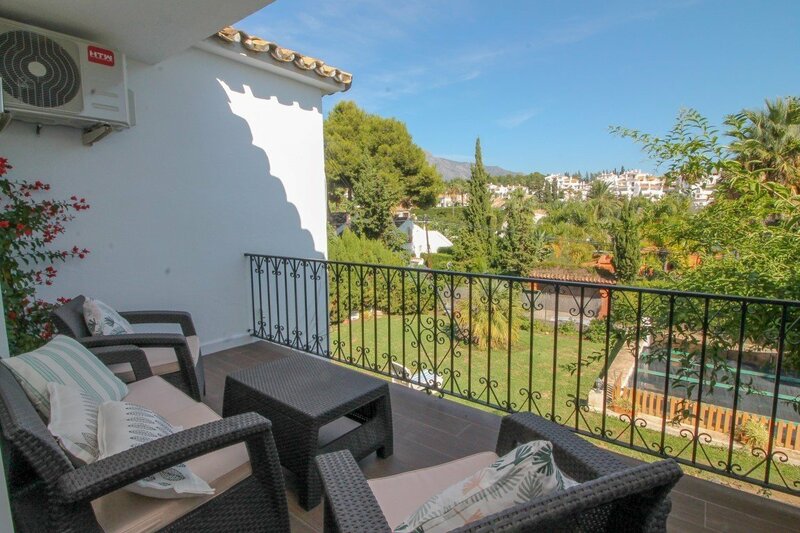 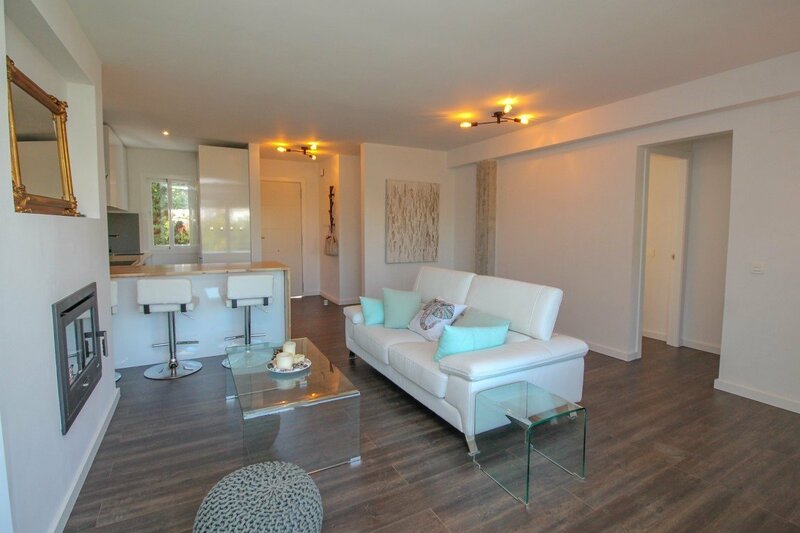 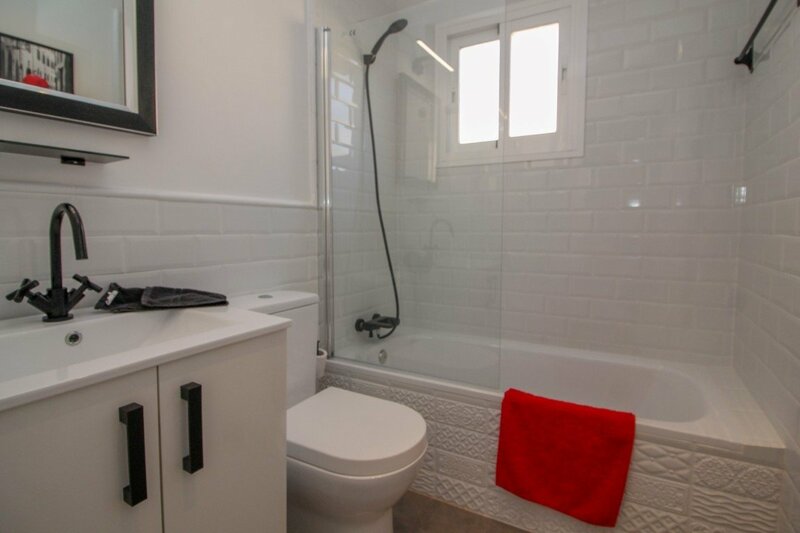 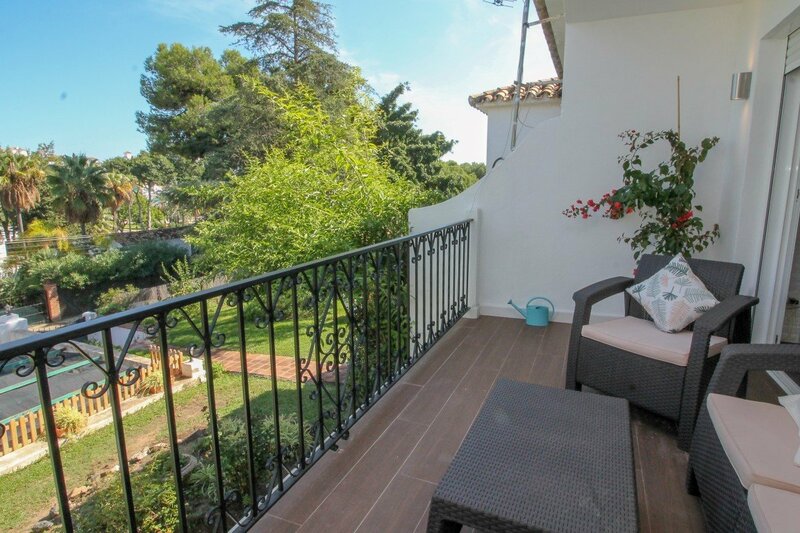 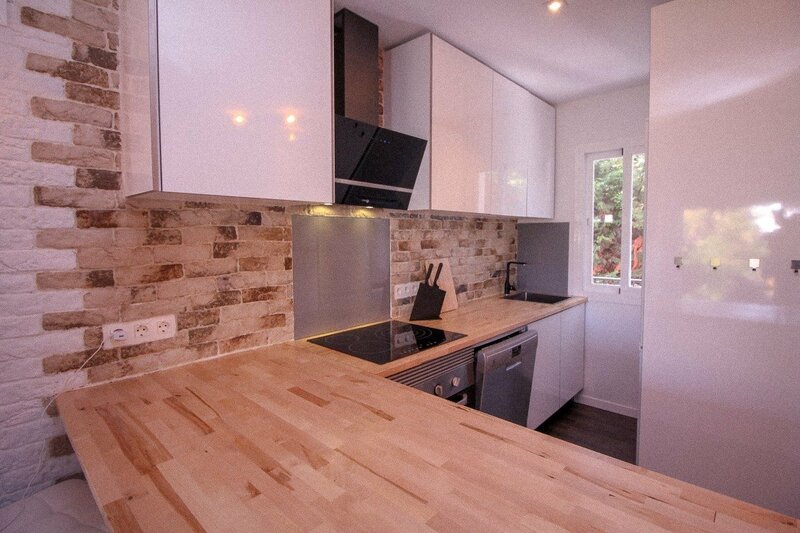 Beautiful completely renovated 3 bedroom 2 bathroom apartment for sale in the centre of Nueva Andalucia close to all amenities including Puerto Banus and a short drive to Marbella and San Pedro. 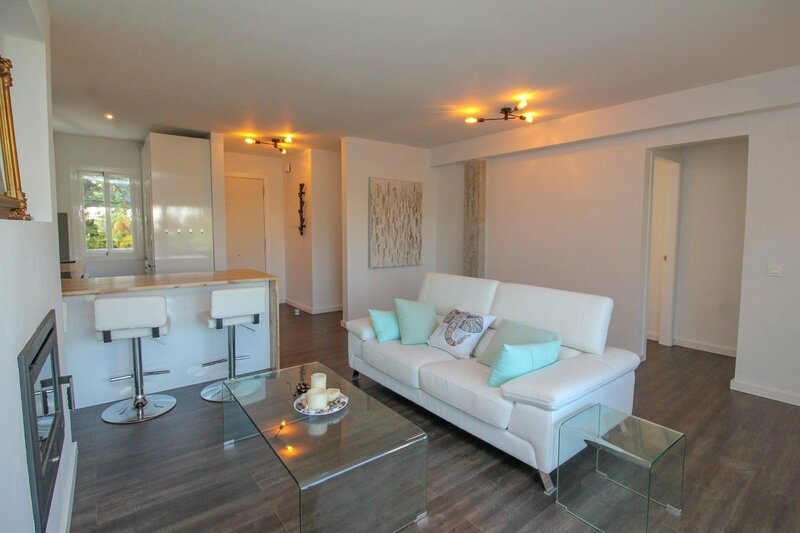 This apartment has everything that most people want and it is ready to move in! 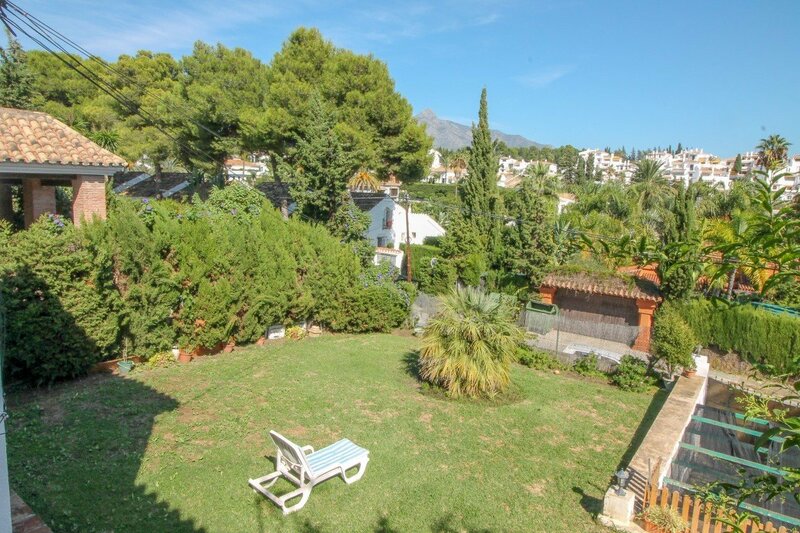 – Private small gated community of just 4 properties all sharing a good size garden. 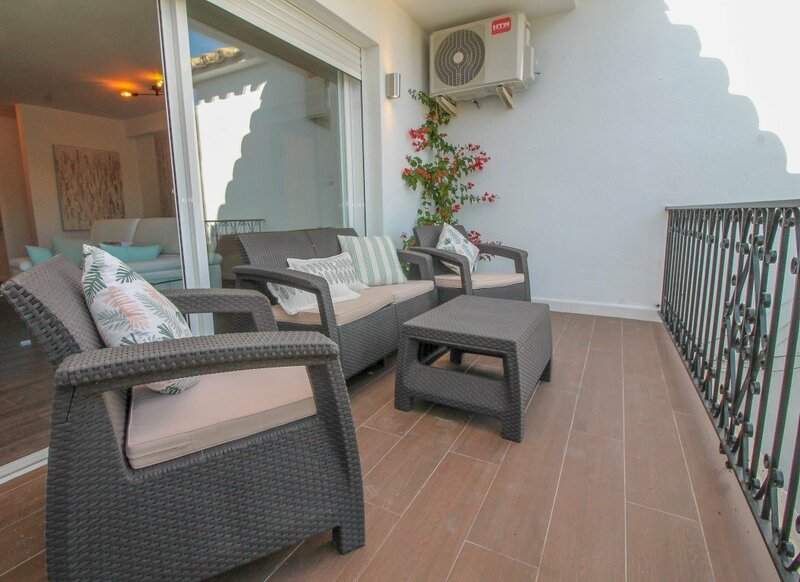 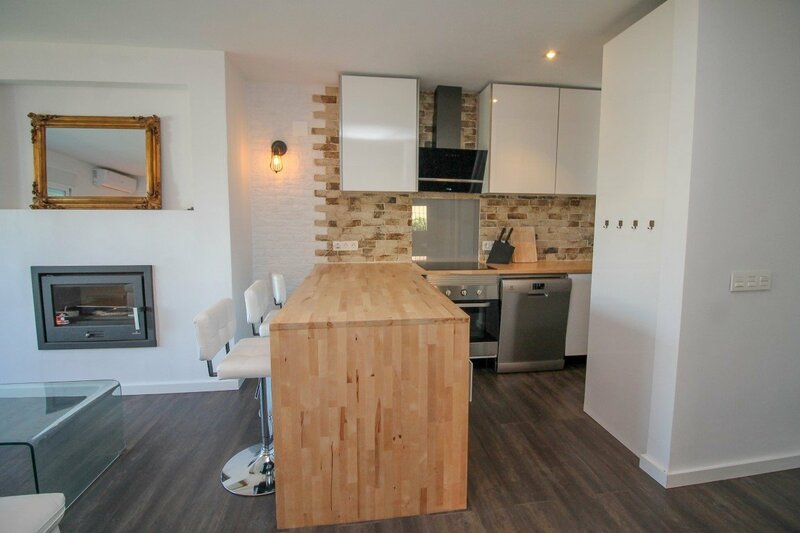 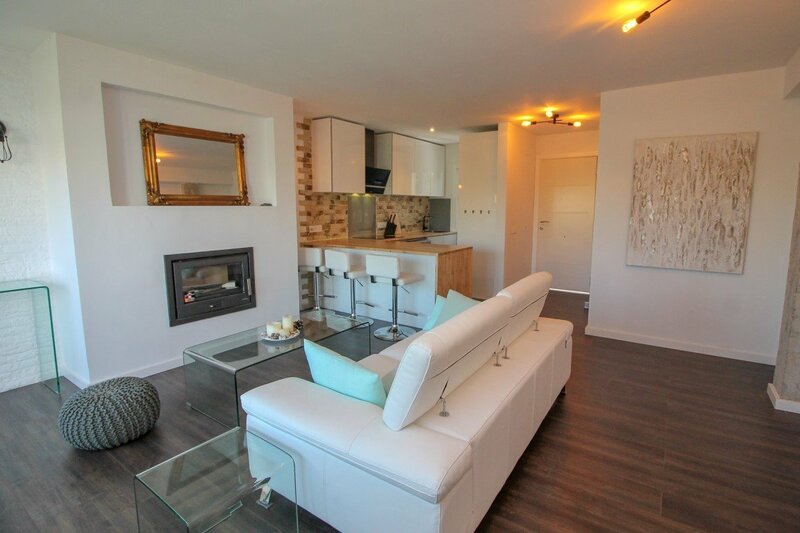 This excellent east facing property has a large terrace overlooking the gardens -Modern and renovated with brand new open plan kitchen inc new appliances, new recessed halogen lights throughout the apartment. 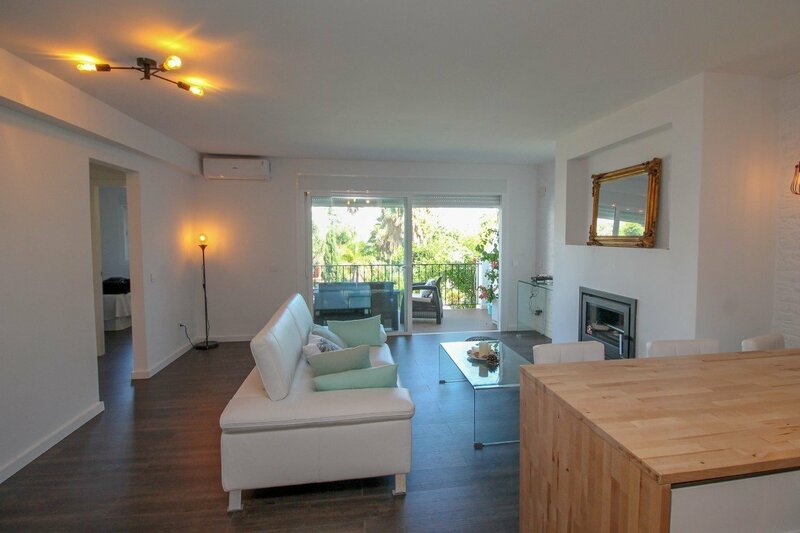 The very bright and spacious living room has glass sliding doors leading to the terrace. 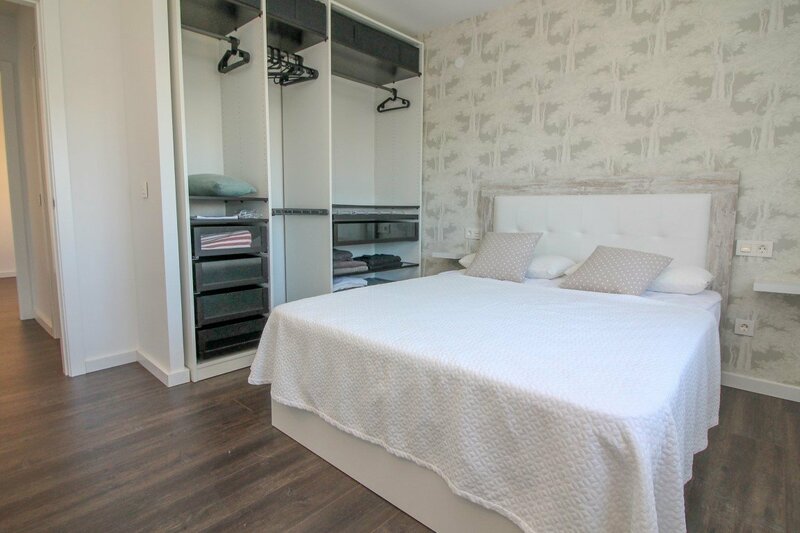 The master bedroom with en-suite bathroom has new built in wardrobes the two further bedrooms are good size all accommodating double beds. 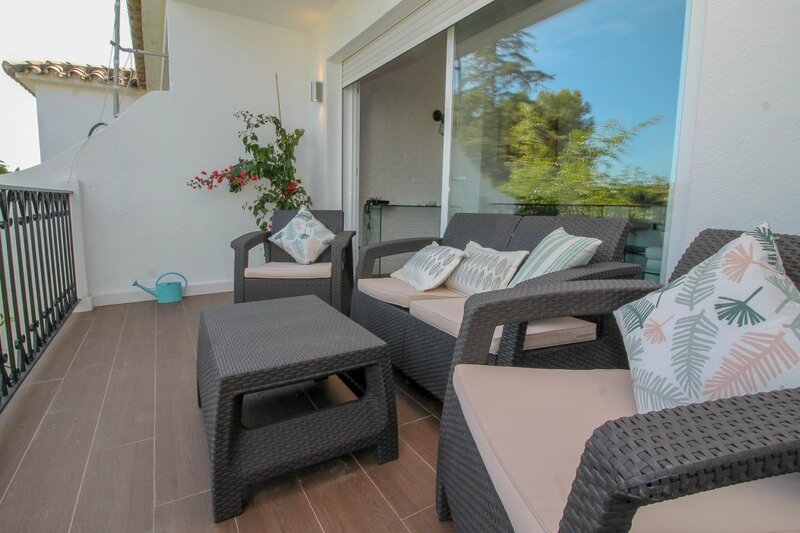 There is hot and cold air-conditioning and the truly beautiful modern property has wood flooring throughout. 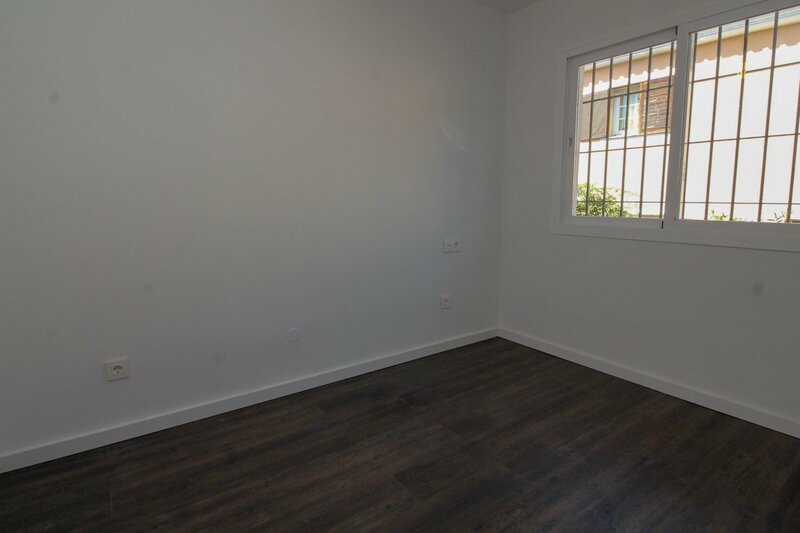 There is secured parking within the community.